According to Mrutyunjay Mahapatra, managing director (MD) of Syndicate Bank, five or six accounts from the 12 in the RBI’s first list could be resolved by end-March. The resolutions achieved so far are of Bhushan Steel, Electrosteel Steels and Monnet Ispat & Energy. Saurav Kumar, partner at Indus Law, says where the bidders have been chosen by the respective committees of creditors, and the resolution plan has been presented before the National Company Law Tribunal (NCLT), it is possible to reach a conclusion very soon. For instance, with Essar Steel, Bhushan Power & Steel and Alok Industries. Essar Steel has seen many twists and turns but the adjudicating authority is now trying to hasten the process. One of the top lenders said there was only a 5-10 per cent chance that its case would go beyond March. In Bhushan Power & Steel, the resolution plan is with NCLT and the lenders have asked for an early hearing which will now start. The total of claims admitted by the financial creditors in Essar Steel and Bhushan Power & Steel, the two big-ticket cases, are Rs 49,473 crore and Rs 47,148 crore, respectively. Essar and Bhushan were part of the 12 large accounts where resolution under the Insolvency and Bankruptcy Code was initiated by banks as mandated by RBI. Together, they had a claims for Rs 3.45 trillion, as against a liquidation value of Rs 73,220 crore. 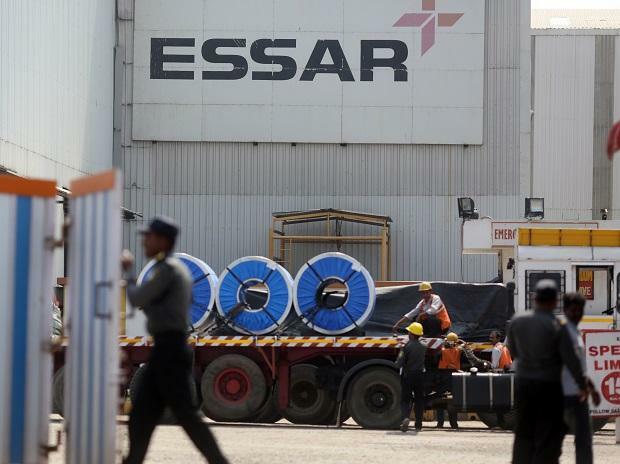 Much of the write-back for lenders, though, is going to come from Essar Steel, for which Arcelor­Mittal has offered Rs 42,000 crore. Only those banks with exposure in Essar Steel are likely to see immediate benefits from the resolution of accounts on RBI’s first list before the NCLT. State Bank of India (SBI) is expecting to write-back about Rs 6,000 crore from Essar’s resolution in the March quarter, said a senior official at the former. If the resolution does not happen by end-March, the bank will have to make additional provisioning of Rs 6,000 crore. In other accounts, in view of the significant haircuts (write-offs), recovery could be in the range of a few hundred crores for SBI. For other banks, even less. “Public sector banks which do not have exposure to Essar, like UBI, will not see much benefit from resolution of the 12 big cases,” said Ashok Kumar Pradhan, the MD at United Bank of India. Allahabad Bank is expecting a write-back of Rs 360 crore from all NCLT accounts by March, said S S Mallikarjuna Rao, the MD. A major chunk would be from Essar. In most cases, except for Essar, the haircut expected to be taken by financial creditors is between 50 and 80 per cent.